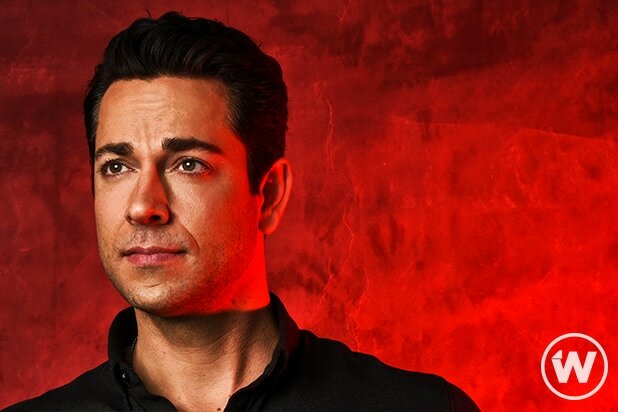 If you’ve managed to binge the second season of “The Marvelous Mrs. Maisel” since it dropped late Tuesday, then you’ve already discovered series newcomer Zachary Levi is a natural with rapid-fire dialogue. And that skill has earned the Season 2 star his stripes as a new member of Amy Sherman-Palladino’s fast-talking club. The “Maisel” creator and her husband, writer/director Daniel Palladino, are known for writing quick, witty banter for their characters, and Levi’s Benjamin — a Jewish doctor introduced as a new love interested for Midge (Rachel Brosnahan) in the Prime Video comedy’s second installment — is no exception. “I think I’m pretty good at the rapid-fire speech. You know, when I don’t stumble over my own tongue, which is easy enough to do,” Levi told TheWrap in an interview Wednesday. Levi says, “Amy and Dan and that writers’ room, they write just excellent material” and notes there is definitely a particular way that they want that material delivered on screen. The actor says the duo were “collaborative” and open to letting him do what he needed to do so he could remember it all — and ended up nailing it on screen. Benjamin and Midge meet about halfway through Season 2, when both of their families are staying in the Catskills for the summer and their mothers try to set them up. “Marvelous Mrs. Maisel” Season 2 is streaming now on Prime Video.